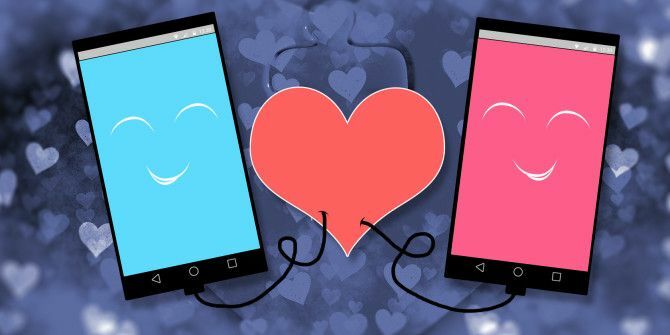 What Is The Best Dating App For Android? At first, online dating Online Dating: Men Don't Get It And Women Don't Understand Online Dating: Men Don't Get It And Women Don't Understand Do online dating websites work? It's time for a frank discussion! What I learned from interviews was that online dating is equally painful for men and for women, but for very different reasons. Read More was mocked. Then, it exploded in popularity. Now, we’re seeing the next evolution of it: mobile dating apps. When all it takes to find a potential partner is the swipe of a finger, I think it’s safe to say that dating has never been easier (not that it’s easy, mind you). It’s true that there are several scam apps in the Play Store Scam Apps in the Play Store You Need to Avoid Scam Apps in the Play Store You Need to Avoid For every amazing app you can find on Android, there's a cheap knockoff waiting to waste your time and steal your money. Read More and some dating apps do fall under that category, but not all dating apps are suspect. A few of them actually work pretty well, all things considered. Here are some of the best ones that may lead you to what you seek, whether that be everlasting love or a one-night hookup. Despite being such a young app — it debuted in late 2012 — Tinder has soared in popularity amongst youngsters and oldies alike. It’s easy and intuitive but, most importantly, it works in such a way that there’s no fear of rejection. The process is simple: you sign in and Tinder begins searching for other users around your location. When presented with someone’s profile, you can swipe right to indicate that you’re interested or swipe left to indicate no interest. These decisions are anonymous, but if two people are interested in each other, they’ll be notified that they are a match. People who are matched can send messages to each other, allowing them to learn more about each other or to just skip the online small talk and set up a time and location to meet. While it is straightforward, Tinder is not perfect. Avoid these common Tinder mistakes Using Tinder? Avoid These 5 Common Mistakes Using Tinder? 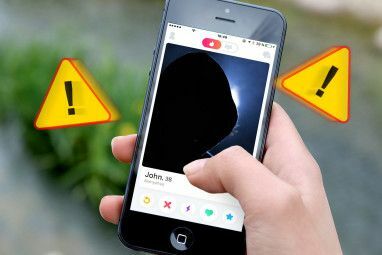 Avoid These 5 Common Mistakes When using Tinder, it's just as important to know what NOT to do. Read More in order to get the most out of it. OkCupid is probably the first name that comes to mind when online dating services are mentioned. 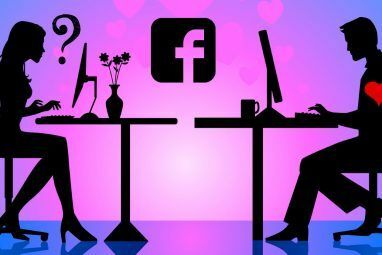 Having initially launched in 2004, OkCupid deserves some praise for being one of the pioneers of online dating and bringing it to the forefront of the masses. The fact that it’s still alive and strong a decade later is a testament to its strength. What sets this service apart from its competitors is its firm foundation in mathematics. Developed by a group of ex-Harvard statisticians, OkCupid is a top contender for finding matches that last. For more details, check out our in-depth review of OkCupid OkCupid -- How A Dating Website Wants To Fix Your Love Life With Math OkCupid -- How A Dating Website Wants To Fix Your Love Life With Math Online dating won't fix all your romantic problems. But if online dating is where you're at right now, OkCupid is the best service, free or paid, available on the market today. Read More and its matchmaking algorithms. The Android app is a great way to take it on the go. The interface is clean, sleek, and painless to navigate and performs well even on older devices. Our OkCupid on Android review Date Smarter With OkCupid for Android Date Smarter With OkCupid for Android Dating is hard: The OkCupid app for Android aims to make the whole process go a little bit smoother. Read More will say all you need to know about why we think it’s a great choice for any online dater. POF, also known as Plenty Of Fish, has long sat amongst the most popular online dating services. It has a registered membership of over 75 million users and has even boasted an estimate of over 1 million babies born as a result of all the relationships that came together due to the service they offer. Unlike apps like Tinder, POF aims to be a platform for “meaningful relationships” rather than one night stands and temporary flings. You can still find casual dates and relationships of a less serious nature here, but if that’s what you want, you may be more successful with another app. Free accounts can get matched and send unlimited messages so it’s completely functional if you don’t pay a cent. However, for $19 per month, you can upgrade to premium membership: view extended profiles, see who visited your profile and viewed your messages, know when users last logged on, and get priority ranking for your own profile. Mamba is a location-based social network with over 23 million users, making it the largest “social dating network” at this time. It’s used for sparking all kinds of relationships: friendships, casual flirting, or serious long-term matches. Mamba helps you find people nearby and gives you the chance to invite them to meet you. One thing that might be a dealbreaker: Mamba requires that you input your phone number in order to register. This is their way of fighting spam bots and joke accounts, but if you’re wary of giving out personal details 3 Online Fraud Prevention Tips You Need To Know In 2014 3 Online Fraud Prevention Tips You Need To Know In 2014 Read More , then feel free to skip over Mamba. Like Mamba, Badoo is a “social dating network” that you can use for casual conversations or to find romantic partners. In a similar way to Tinder, it presents you with potential matches from your area and gives you the option to like or dislike them. Conversations can only start between two users who like each other. One cool feature is that Badoo tracks how often you “bump into” other Badoo users by letting you know which members were in your proximity over the last 24 hours. Even if you aren’t interested in romance, it’s a great way to expand your social circle. While it’s possible to register without using your Facebook account, you’ll miss out on a few features that rely on the network of friends provided by Facebook. Badoo also comes in a premium version for $2.99, though there’s nothing special about it. Buy it if you want to support the developers. Online dating can be tough, especially if you’re looking for niche interests. For example, online dating for gamers 3 Gamer Dating Sites For Finding Geeky Dates 3 Gamer Dating Sites For Finding Geeky Dates Gamers deserve love too, and several sites have popped up over the years that can help gamers find romantic partners who also share a love for video games. Read More isn’t always easy, but don’t give up. These apps will maximize your chances of finding what you’re looking for. 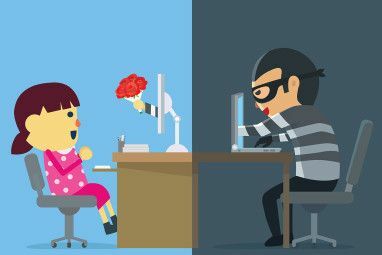 Once you’ve struck up a relationship, you may find these digital relationship tips 4 Online Relationship Tips That Actually Work 4 Online Relationship Tips That Actually Work There are plenty of examples to show that Happily Ever After is attainable for online and long distance relationships. Here are some of the best tips and advice to keep you on the right path. Read More useful. Do you use mobile dating apps? Which ones have brought you the most success? Which ones failed miserably? Share your experiences with us below! Someone has already locked me down but if I were single, these apps would make sure I wasn't for long!